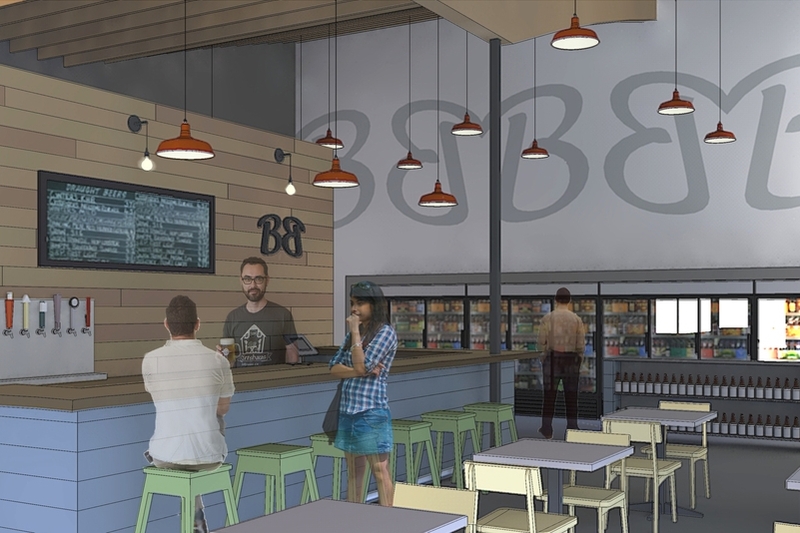 Beer, in all of its glorious permutations, is the focus of the “Bottle Shop”. Planned as both a specialty craft brew retail shop and on-premises drinking establishment, this pub is open, comfortable and welcoming. The tall ceilings, large windows and exposed structure of this former supermarket provide a perfect backdrop to the unique live-edge timber slab and reclaimed wood bar that anchor the space. Large glass doors open out to the outdoor beer garden, enlivening the building edge and encouraging further patronage.